for the application (assets, inventory, check in/check out, etc.). This can be an off-the-shelf package, a custom software package, a database, or simply an Excel Spreadsheet. Most packages include label printing and reporting modules that are tied to the databases. which can be purchased pre-printed or printed in house with a label printer (i.e. thermal printer, or laser printer). Some thermal printers include label design software. Bar code "fonts" are also available for those who print directly from standard Windows applications (i.e. Word, Excel, Access, Corel). Read and decode bar codes. Most readers can be plugged in via the keyboard or serial port, and can be hand-held, or fixed-position for hands free use. 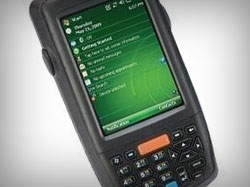 Portable data terminals, including palm and pocket units, allow data to be (remotely) collected, either via scanning or keypad input. The collected data is uploaded (instantly or as a batch) into the system database. Used to print asset tags and custom labels in-house, and for printing employee receipts, and inventory reports. Tied into the inventory database. Define what data needs to be tracked. Start by thinking about what reports are necessary. Asset tracking usually tracks the location, history, and cost of assets. Reports can be sorted to see the total value of assets in a particular location. Decide what software and hardware fits your needs and budget. Bar code resellers and consultants can help with this. Determine whether or not to print bar code labels in house or purchase preprinted. This is a function of required data on the labels and frequency of printing. Configure the database. Set up the required fields such as description, value, etc. Each asset has its own unique barcode number. Enter or import the data records into the database. If assets are in remote locations the data can be collected via a portable data terminal and later uploaded into the database. Tag each asset. 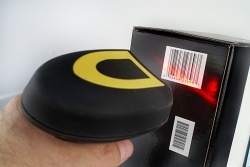 This can be done in the field with a portable printer, or with preprinted bar codes. Perform transactions such as add new asset, receive asset, or transfer an asset. While the above information and checklist are general, hopefully enough detail is provided to show that bar code system components and implementation are straightforward enough for most companies to pursue. 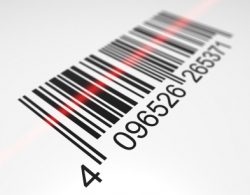 Contact RighterTrack for help in buying and implementing your bar code inventory or asset management solution today.